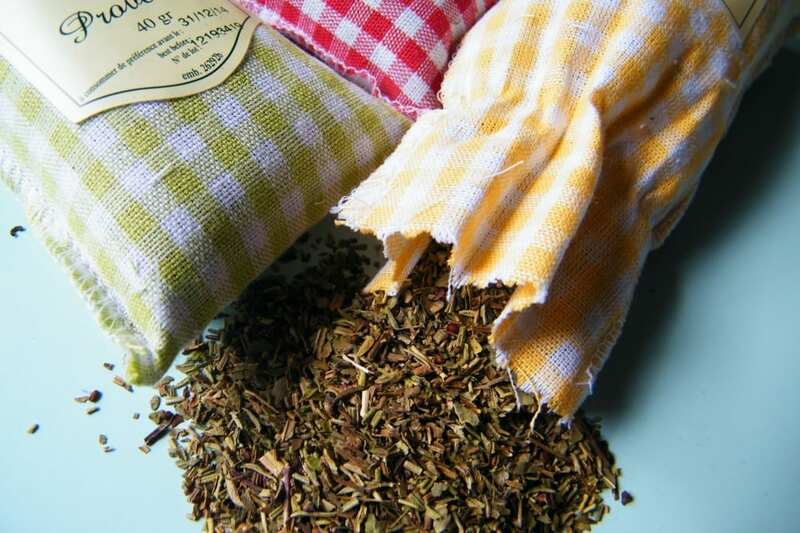 Herbs de Provence comprises dried rosemary, basil, thyme, savory, marjoram. I imported some from France, but it might present a fun challenge to make it from scratch! It’s a savory dried herbs mix which is lovely on pizzas, chicken, grilled food and barbeques. I was very pleased with the veg haul from my garden this week, so thought I’d roast some. Halve the tomatoes and slice the courgettes – I had roughly equal quantities of each, and enough to cover the bottom of a large oiled baking tray in a single layer. Cut a couple of garlic cloves in half and poke them in amongst the veg, then sprinkle on more oil, a generous sprinkle of Herbs de Provence dried herbs, and seasoning. Roast in a preheated oven at 200degC for 40 mins, stirring halfway. I served mine up on the side of a cheesy French bean risotto. The following day I heated it through with tomato passata and made a great pasta sauce. It’s also great stirred through couscous. Variation – roast aubergine and peppers with the tomatoes and courgettes and you’ve got a version of ratatouille!